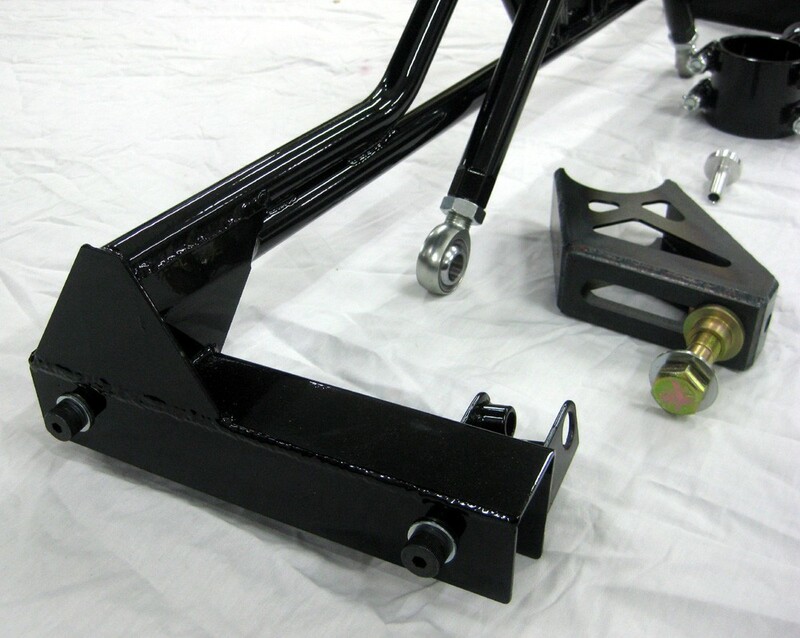 Compatible with leaf springs and is also the same piece included in our 3-Link system. 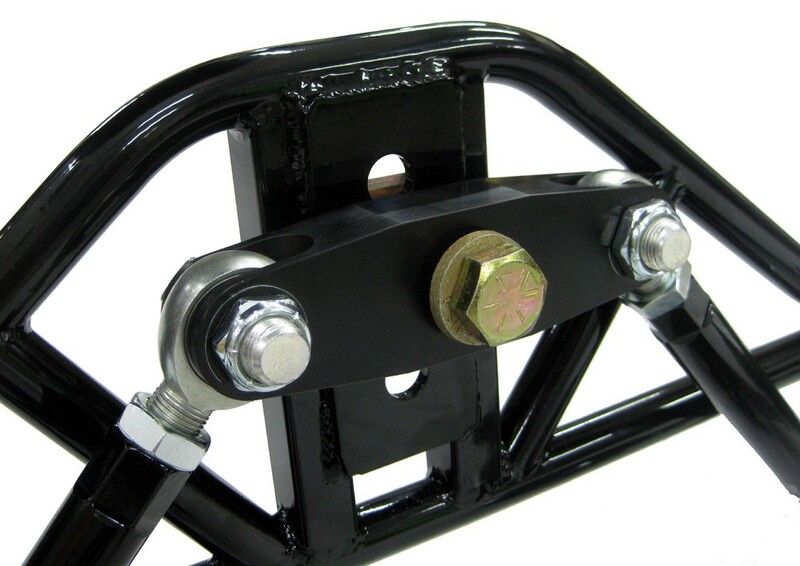 The Watts Link frame bolts around the stock frame rails and is secured by shoulder bolts. These are supplied so the frame rail doesn't get crushed and torque can be applied to the bolts. The construction of the Watts Link frame is substantial to resist any deflection under lateral loads. 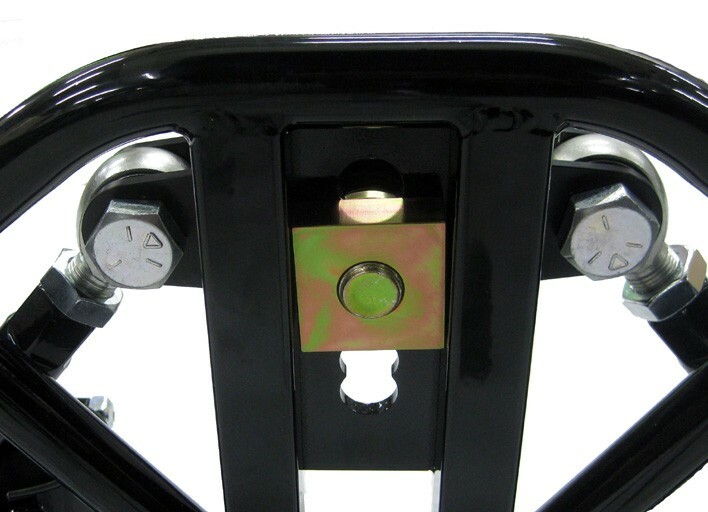 It is critical, especially in a 3-Link configuration, that this connection is solid and won't flex as 100% of the lateral loads will transfer through the Watts Link frame and to the center pivot bolt. The billet aluminum center pivot rides on sealed roller bearings and is mounted to our positive roll center adjustment plate. This allows you to raise/lower the rear roll center by moving the pivot up or down the serrated slot. All steel parts are beautifully powdered coated gloss black with aluminum pieces being hard anodized black. All fasteners are zinc plated so you can be sure it'll look good even if it is hidden under the car!